Our trip to Mayberry was uneventful; an uneventful trip is a favorite, for sure. As soon as we arrived, we jumped right into full-on shower preparation mode, which means that we slaved over three batches of buttercream frosting, searching in vain for the perfect shades of burgundy and rose gold with which to make the frosting roses for the lemon and vanilla bean cupcakes. We failed in that endeavor, but, the end results were deemed Good Enough, and, while not being the color we were going for, the frosting certainly was delicious, according to our panel of expert taste-testers: Queen B, the Man-Cub, The Rodeo Princess and Her Intended. In keeping with the theme of the day, I will point out that all four of those kids are among my favorite humans on the planet. 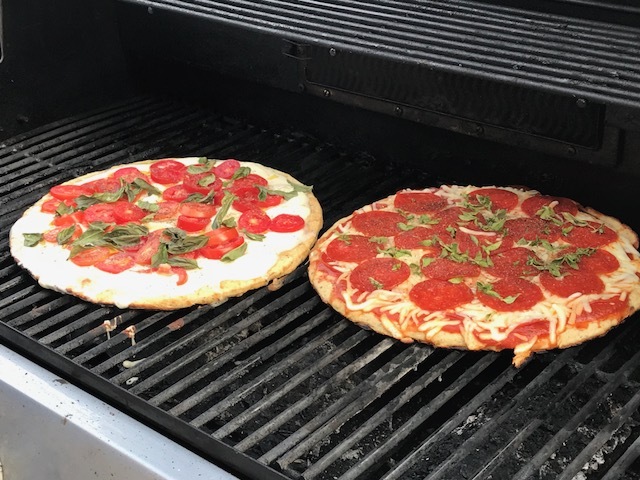 Other favorites worth mentioning this week include the ah-may-zing grilled pizzas that Hugh and I made a couple of nights ago. 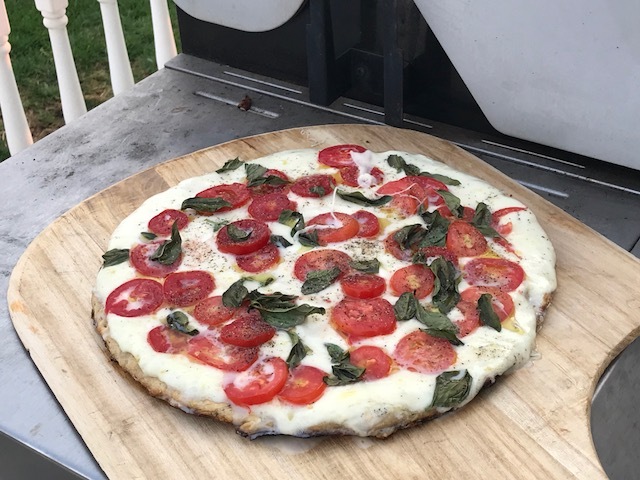 "My" pizza was a Margherita pizza made with olive oil, freshly pressed garlic, sliced fresh mozzarella, Roma tomatoes and basil from my garden, and a little dash of salt and pepper. 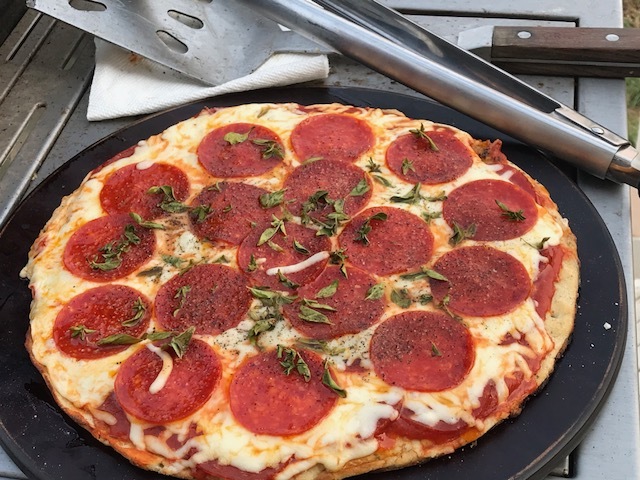 "Hugh's" pizza was made with spicy pizza sauce, pepperoni, shredded mozzarella, and fresh oregano from my garden. 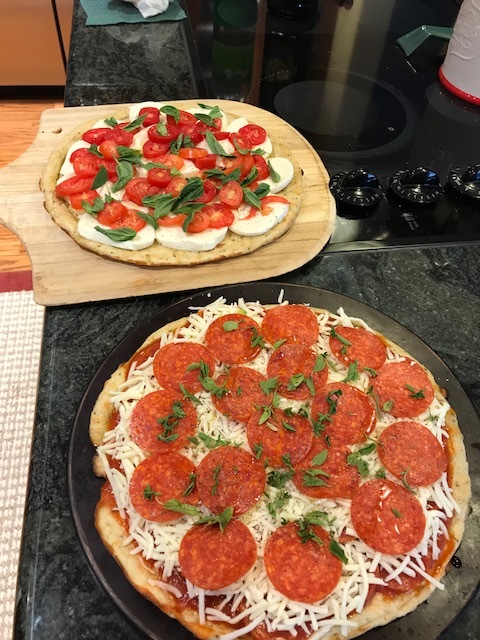 As I said before, they were both amazing. 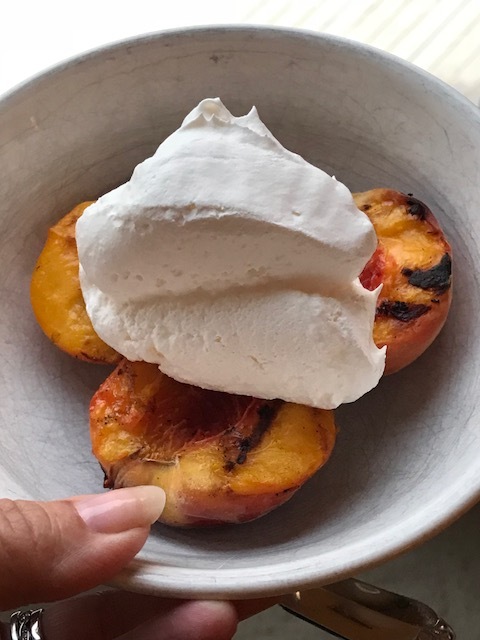 The only way to follow up something that delicious is with grilled peaches grown by one of my co-workers, topped with frozen Cool Whip (Sugar free, since I am still off the sugar). 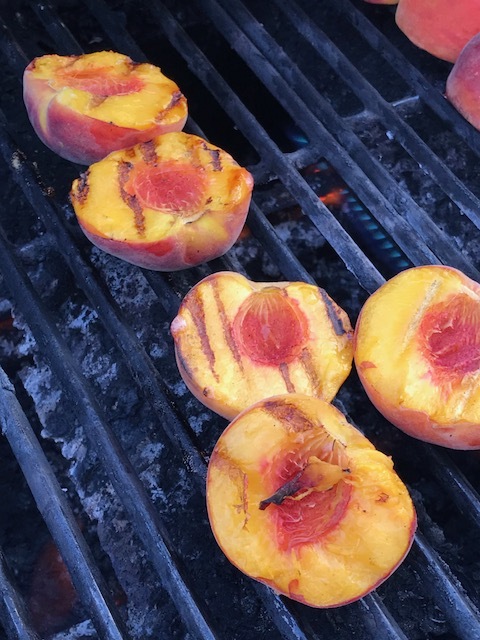 The grill has been our go-to appliance for cooking extraordinary meals this summer, the bonus of which is that I don't have to do the actual cooking, just the prep work. Also, there is generally less clean-up (and all the mamas said Amen). That's it for today; I have a fruit salad to make, lemon tartletes to fill, mini Black Forest trifles to construct, and a banquet room to decorate before greeting an unknown number of guests with old fashioned sherbet punch and a smile on my face. As an aside, people who don't RSVP to invitations when RSVPs are clearly requested? NOT A FAVORITE.